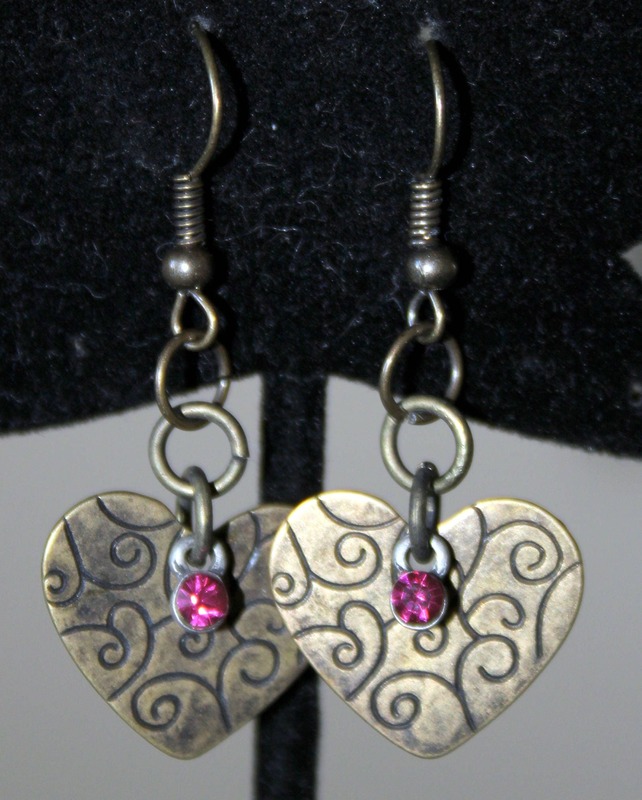 These earrings are made with small brass heart charms with light scroll work on them. Each has a rose colored crystal adornment. They hang from surgical steel French hook ear wires that are also brass colored. They are light and bright and are about 1 3/4" long.